Do you have a goal that hangs out there on the horizon, tempting you, but always just a little out of reach? Perhaps there is a bit of fear wrapped up in the goal. You say, “I can’t” when you really can, but just haven’t – yet. As with any big project, we can break down big goals into smaller stages. We don’t have to go from the couch to running a marathon when a 5k would be a better place to start. We don’t have to climb Katahdin before we have mastered Bradbury. 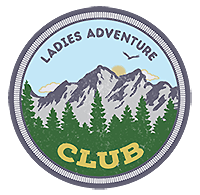 And we don’t have to sign up for an LAC overnight before we have tried a half day adventure (though you certainly can). I used to be paralyzingly afraid of tipping over in my kayak. I was convinced that I’d be trapped upside down by my spray skirt, entangled in the deck lines, and banged in the head by my paddle. That fear prevented me from fully enjoying an activity that knew I’d really like. It was keeping me close to shore and limiting the places I felt safe going. So, I decided to face the fear, flip the boat, and learn to get back in. The first time I took 10 minutes to prepare. I checked my spray skirt, making sure the grab loop was not tucked under the skirt. I tightened and loosened the grip on my paddle. I looked my paddling buddy in the eye, to make sure he was ready to pull me to safety. Then I did it. Flip. Tug. Push. And I popped to the surface in under 3 seconds. I was in a lake; the conditions were glass calm, the water was warm, and I was with a bunch of other paddlers learning assisted and self-rescue techniques. I still attend that class at the start of each season to practice, and recently have helped teach it. Face the fear. Practice the skill in safe conditions with people that give you confidence, and soon it will be uneventful. Then it is time to address the next fear. 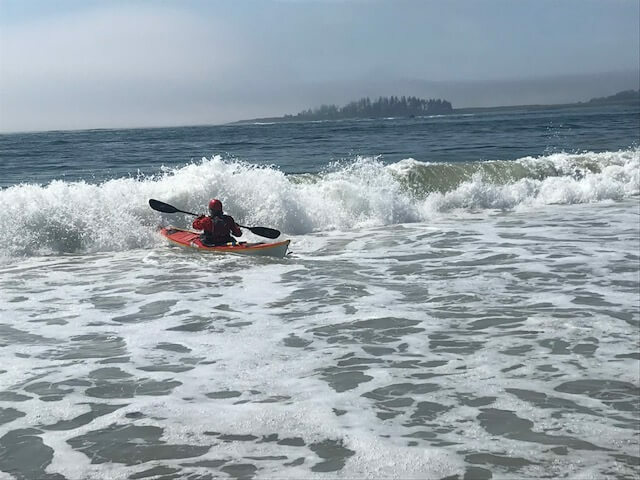 I did that last weekend in a rough water rescue class offered by Portland Paddle (thank you Patty Howells for posting the event on the LAC Facebook page!). We met at Crescent Beach, and while that may be a familiar site to many of you, I’d only been there once after a snow storm to go skiing where snow met sand. Nothing was familiar on this sultry summer day. 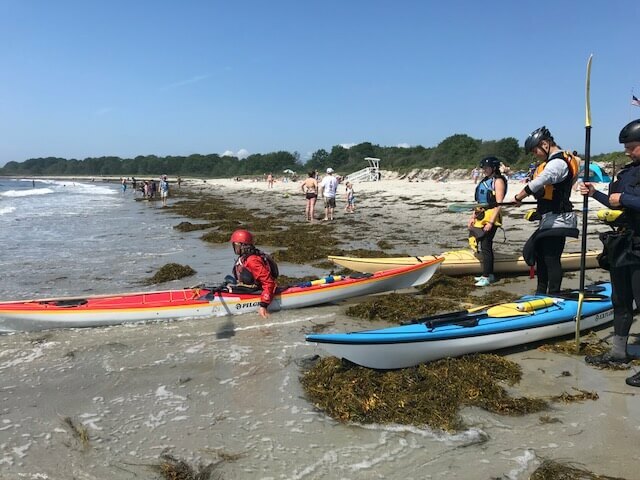 The instructor laid out the plan – practice a surf launch (new), paddle to some breakers on an offshore ledge (something I would typically avoid), intentionally tip out of our boats and practice getting back in with big seas. This was intimidating! But the confidence of the teacher encouraged our group. One at a time we climbed into our boats and used our hands to scooch along the sand until we were floated by an incoming wave, then paddled like hell to punch through the surf. It was exhilarating! As if on cue, when the final boat was afloat, the fog rolled in. We were probably 25’ from shore, but could not see the beach, not to mention the ledges. 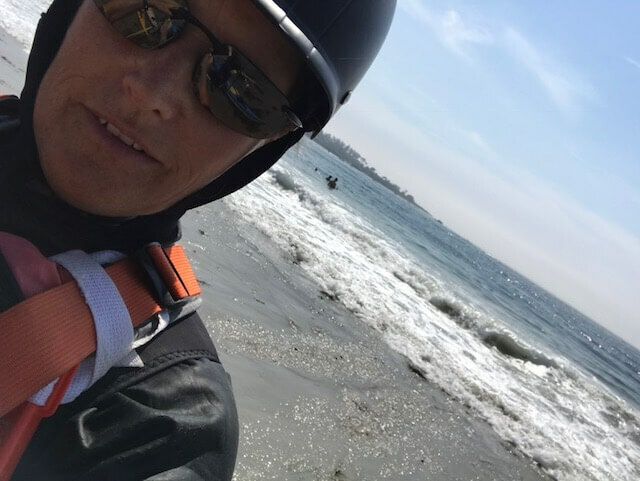 But the teacher didn’t turn back, she took inventory of our safety gear – compass, VHF radio, cell phones – and relied on her skills to guide us to the ledge, where we flipped, re-entered, towed, rolled…. What had been terrifying a few years ago, was now old hat, thanks so some experienced leaders and a bunch of practice. So, sign up for an adventure. Even something you are afraid of. We are here to help flip your fears into favorites.